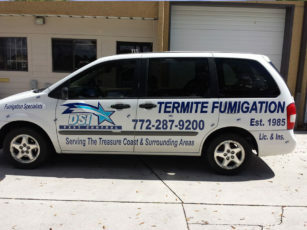 Located in Stuart Florida, DSI Pest Control is a family owned and operated business providing tent fumigation and pest control services to the Treasure Coast since 1985. 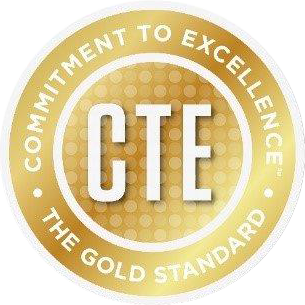 DSI Pest Control is a member of the Commitment to Excellence program administrated by Douglas Products who manufacture sulfuryl fluoride under the name Vikane Fumigant. This designation is given to those companies that adhere to the highest standards for fumigators. Douglas Products hosts the web site “termite tenting” which gives a complete story about the fumigant and how termite fumigation’s are done. DSI Pest Control treats for both drywood and subterranean termites. 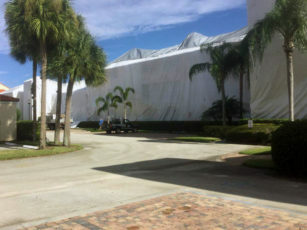 While the termite tenting is our most common service, we also handle tent fumigation’s for powder post beetles, old house borers, rodents, and bed bugs. We service many areas along the Treasure Coast of Florida, including Stuart, Hobe Sound, Port St Lucie, Ft Pierce, and Vero Beach. DSI Pest Control has help commercial businesses and residential home owners along the Treasure Coast keep their structures safe and pest free since 1985. From ants to roaches to rodents, DSI Pest Control can get rid of your unwanted visitors quickly & efficiently. A family-owned & operated pest control company, we have over 30 years of experience in pest removal & will be happy to rid your home of pest infestations. Watch 500,000 termites devastate ‘tiny house’. A shocking video released by the National Pest Management Association shows the devastating impact of over half a million termites on a specially-built scale-model home, complete with electricity, plumbing and insulation. Serving the Treasure Coast since 1985, DSI Pest Control is proud to be a family owned and operated business. We specialize in tent fumigation and pest control and treat for drywood & subterranean termites, powder post beetles, old house borers, rodents, bed bugs, ants, roaches, rodents and more. We serve the Treasure Coast including Stuart, Hobe Sound, Port St Lucie, Ft Pierce, and Vero Beach. Don’t let bugs, bug you! Call us today for a free evaluation.